So I'm not usually a fan of reading books, but these days I've been going all out. I've been reading "The BIM Manager's Handbook: Guidance for Professionals in Architecture, Engineering and Construction, by Dominic Holzer"
I must say its a hell of a read and really defines the rules of BIM and how BIM has been implemented in the AEC industry. I would definitely recommend this if you want to get a good understanding in BIM, whether you want to become a BIM Manager or just an employee in the AEC and want to gain understanding. I would suggest you read this book. #2D #3D #4D #5D #Drafting 6D aec BIM Consultancy BIM Design Coordination blog book Design and Build Design BIM Dominic Holzer reporting REVIT RIBA the BIM Managers handbook Tutorial what is BIM? 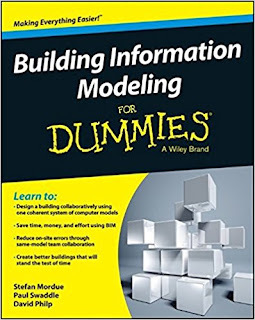 What you should do before getting into BIM. Hello, Hi, Anthony Kamil here. As part of my education initiative to educating the industry. I want to create a series of videos that would help and educate companies and individuals to the key elements in BIM Implementation. Please enjoy these videos, and don't forget to share, like, comment and subscribe to my youtube channel. Together we can digitise the construction industry. Please follow, on instagram, twitter and facebook.